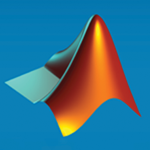 In this tutorial I cover basically everything you’d learn in a 500 page book on MATLAB in a video that is just over 1 hour! So many topics are covered, but this is an abbreviated list : Input, Data Types, Casting, Math Functions, Conditionals, Vectors, Matrices, Looping, Cell Arrays, Strings, Structures, Tables, File I/O, Functions, Recursion, OOP, Plotting and more. A transcript and cheat sheet follows the video below. Use it as you pause your way through the video for best results. If you like videos like this consider donating $1, or simply turn off Ad Blocking software. Either helps me to afford the software and books required to make tutorials like this. This tutorial cost me about $190 to make.